Test, inspection, and measurement (TIM) technologies are important parts of electronics manufacturing. As defined in this roadmap chapter, TIM encompasses technologies that allow for the identification of product defects and the characterization / improvement of the product and associated manufacturing process. Challenges for both the users and providers of TIM technologies include: higher product complexity and reduced test access, energy and environmental concerns, the globalization of manufacturing and the diffusion of test development and support throughout the supply chain. 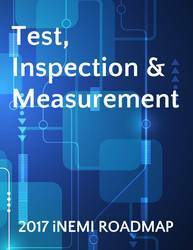 The chapter reviews electrical test, boundary scan, and electrical test pad access. It also discusses such issues as test economics; test coverage, defect detection and prevention; and the impact of switching to environmentally friendly materials on TIM.